We are recruiting for foreign language teachers for this coming term which begins in Autumn 2016. ESL Teachers are needed to teach in public schools in China. The positions vary from primary school to high school and are located in places such as Shenzhen (SZ), Guandong Province – China. Shenzhen is one of China’s newest top tier cities. Just over 30 years ago Shenzhen was full of fisheries and land. In 2016 it has a population of around 20 million people – and enough coffee shops, shopping malls, and places of interest – it surely is one of the best places to become an expat. Located right next to Hong Kong, it makes travelling Asia during school holidays, a breeze. If you haven’t taught English as a Foreign Language before you can still apply for our positions. The salary will be different to a teacher with experience. The one thing that’s needed is a TEFL certificate along with your Bachelors Degree. A TEFL Certificate can be done online for a small fee, or you can join us in house for our own TEFL course, which also comes with a small fee. Our ideal candidates must have graduated from University. You must be a native English Speaker from America and England etc and graduated from a University in your home country. You must have a desire to work with children. You must be professional at all times. Undertake any tasks that are set by the school. Free return flights – In form of a bonus at the end of the contract. 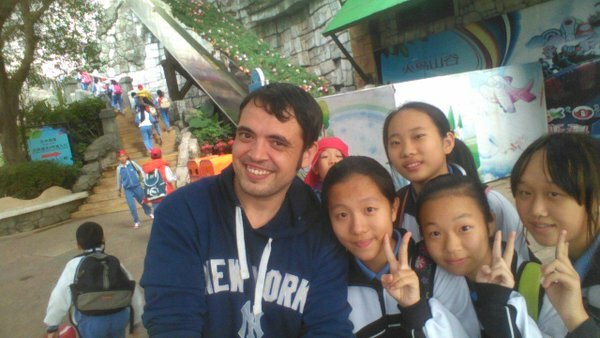 Your one-week TEFL course – accredited by the Chinese government. Cultural Activities and extra teacher training opportunities. Help finding part – time work. If you are interested then please forward an email to manager@tefljobsite.com . We can then set up an informal interview on Skye where we can discuss the position further. Websites to help find teaching positions and jobs in Thailand and the World are all over the internet - so here at ThailandInTheNews.com we have our top picks. 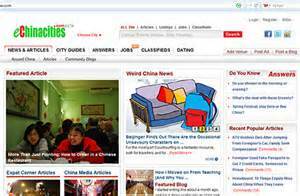 5. echinacities.com - This is an up to date jobsite that contains the latest ESL teaching positions in all of china, from hour-lies to contract work. There is a lot to see and read, there's forums, and news sections. There is also a handy tool to register your CV and interest. 4. teachersinc.com - This site crops up often in google searches. It has an abudence of esl jobs across the world, and it has a focused area for Asia. It also has a lovely design. 3. seriousteachers.com - This is also a website based for teaching positions around the world, you can find esl, tefl, international jobs all over asia. Easy to use interface, must sign up to use this service. Recruiters will contact you via their platform. 2. teachersforasia.com - Having previously working for these guys, they are a very responsible recruitment company in Asia. They take care of the teachers right from the beginning and are able to find the best jobs for you. 1. ajarn.com as we love Thailand we have put this site at number 1. It is a number one site for looking for jobs in Thailand. There's a forum, and also a long list of interview Q and A's designed for the 'users' to get an idea of the teaching experience in Asia. All the websites mentioned here are great resources for finding work in Asia (or the rest of the world). Please don't pay any money to people that can find you work, and check out VISA regulations for every country. An Education company in Shenzhen, China is currently looking for teachers to begin in September 2016. Working in government schools. Shenzhen is a modern city in China, it has sprung up into a city of 20 million people in the past 20 years. It has great transport links, cost of living is very cheap, and there is coffee shops everywhere! The exact location in Shenzhen is Futian District, next to Hong Kong, with many things to do. Primary schools here range from aged 4 to 12 years old, after that students will go onto a middle school and then a high school. The bonus of a primary school is students are always eager to learn. must have a strong interest in Chinese Culture. flights paid as bonus at the end of contract. Working conditions: up to 20 teaching hours a week. What to do next: contact me on comedy.at@hotmail.co.uk (email title: (Shenzhen Teaching) and I will pass your CV onto the recruiters. They will then process your application.